Things may look bleak due to the choppy economies that seem to impact emerging markets like Malaysia, resulting in the continuous slide of our currency. There are many factors that caused the declining Ringgit, and this impacts everyone, directly and indirectly. To make matters worse, Fitch Ratings warned of downgrade risk in the country’s rating outlook, which resulted in the Ringgit plunging further. On top of it all, the Ringgit is leading the regions’ currencies in the slide (we’ll always be #1 at something). Along with that, we also have the highest household debt against GDP in south-east Asia at 88% at end-2014. Safe to say, the current economic outlook certainly looks gloomy for Malaysians. So how do we combat this? We certainly can’t control global (or even local) economies right now. 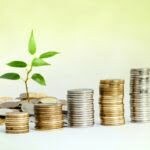 Increasing one’s income is definitely one way to deal with the current currency crisis and the rising cost of living, but there are other lifestyle adjustments to bring down our costs that we can all make to manage our finances better. The weakening of the Ringgit has significantly slowed down the demand for overseas travel packages, said Hamzah Rahma, the president of the Malaysian Association of Tour & Travel Agents (MATTA). This is hardly surprising. If you are planning for a holiday in the UK or even to Singapore, you may want to recalculate your vacation budget as RM1 is only worth £0.154 and S$0.333, at the time of writing. 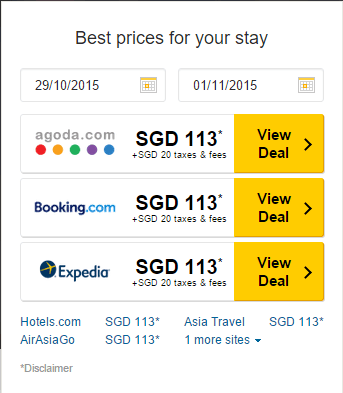 That’s about RM400 including taxes and fees for a night at a boutique hotel in Chinatown. A no-frill trip for three days two nights could easily come up to RM2,208 across the Tebrau Strait! Forget going anywhere outside of Malaysia. If you really need to rest and relax somewhere outside of the hustle and bustle of KL, consider nearer destinations within the country, such as Sepang Gold Coast, Port Dickson, or Penang. Your wallet will thank you for it! This is a no brainer. You will immediately see the impact of the weakening Ringgit when you buy imported products, because like the rest of the world, Malaysia trades mostly in US dollars. When the Ringgit slides against USD, you will find yourself paying more. If you like to buy imported fruits like blueberries or kiwis, consider changing to something local like papayas and bananas. A few Ringgit here and there, can add up to a lot at the end of every month. For bigger ticket items like an iPhone 6, you may have missed the boat because the price of an iPhone 6 16GB is now RM2,702, when previously it was only priced at RM2,399. That’s a whopping 12.6% increase since its launch in November 2014! A word of advice? Stick to your old phone for the time being. Like most urbanites who don’t stay with their parents, you will most probably be eating breakfast, lunch and dinner outside. If you take the time to jot down every sen you spend (yes, even the curry puff you bought for tea time yesterday), you will be surprised at the amount of money you end up spending on food every month. To add salt to the wound, these meals are usually not the healthiest option either. * Prices of food and drinks based on prices in Damansara Heights. ** Prices of groceries based on Tesco Online Malaysia website. If you are afraid you will fail in this cutting exercise, you can keep your weekends flexible. Budget restrictions that are too rigid will inadvertently results in failure. By just preparing food from home on your work days, you can save at least RM95.60 a month, and that’s RM1,147.20 a year! 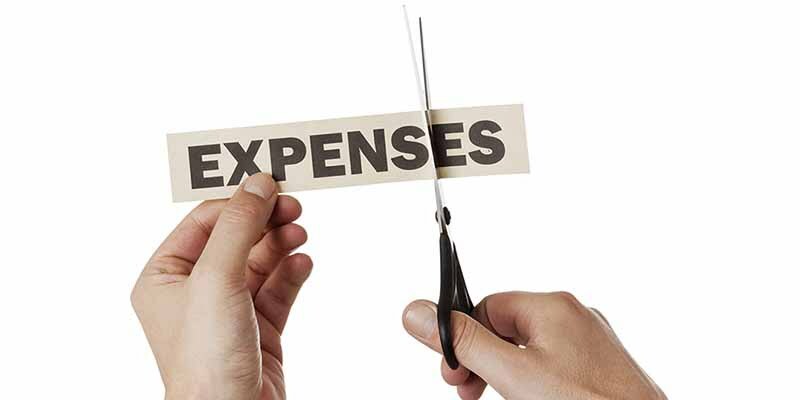 The best way to begin reducing your monthly expenses, and also to see an immediate savings, is to look at your fixed expenses, which should make up a maximum of 50% of your income. List down all your fixed payments such as loan, subscriptions and bills. Then, decide which of these items you can downgrade, extend or cancel. If your monthly mobile phone package is RM120, call up your telco and ask for a lower package. You can even consider canceling your gym membership if you don’t go regularly or opt for cheaper alternatives. These are changes that will make a very immediate impact on your monthly budget. This sounds simple enough, but definitely not easy. Living pay cheque to pay cheque makes everything seem important, and you may not know where to start cutting. Once you’ve trimmed your fixed costs, then you can move on to flexible costs that should make up a maximum of about 30% of your monthly income. Categories that you can look at first are entertainment and hobbies. Don’t strike out the whole category, but you can reduce the amount spent on each category in a realistic way. If you watch a movie at the cinema every week, that’s at least RM45 spent a month on movie tickets. Try to reduce that to once or twice a month. It’s also helpful to cut down on shopping, unless it is absolutely necessary. Here are some tips on how you can control your shopping urges. Buying a pair of shoes every month? That definitely falls into the not necessary category, unless you wear disposable shoes that tear every month! Sometimes buying a more expensive item with better quality that will last longer makes more financial sense than buying something cheaper that has to be replaced every other month. At this challenging time, investing has become a dilemma for most people. On one hand, most people are afraid to put their money in volatile investments while still maintaining some level of liquidity, while on the other hand, they are afraid of the diminishing value of their money if they keep it in a savings account. Investment becomes even more crucial to protect your Ringgit in these times. Especially since we’ve seen a jump in inflation to 3.3%. However, investing can also work against you if you are on the wrong side of the trade. The value of your investment can be affected by currency fluctuations if the fund invests overseas. Changes in rates of exchange may have an adverse effect on the value, price or profit of investments. Of course, hedging techniques may be used to manage currency risks. This could be done through derivatives for example but these instruments carry their own risks which may not be apparent to you immediately. Of course, if you are already holding foreign currency investments then it could also work to your advantage. If you already are investing, it’s time to relook at your portfolio to ensure your investments are able to help you weather through the weakening Ringgit. If you have not started investing, it’s time to get started, but make sure you are putting your money in products that suit your risk profiles and to also minimise your exposure to currency fluctuations. Every sen saved earns you extra maneuvering space for your finances. If you rely on your credit card heavily, it’s time to take a long, hard look at your wallet and see if it’s time to break-up with your long-time plastic partner. Remember, no matter how good the benefits are for a card, if it doesn’t suit your lifestyle, it will be as useful as having Ringgit when you are in the US (considering the current exchange rate, not useful at all). You may have signed up for an entertainment card that gives you excellent cash back for movie tickets, clubs, and shopping, but now with a family, your spending may mostly be on groceries, petrol and even paying utility bills. Why waste all that cash back and reward points by using the wrong card? Go back to the drawing board and figure out which card will reward you the most for every Ringgit spent. Get started with this short quiz to find out which card should enter your financial life right now! In addition to reducing your expenses, you need to boost your income. After all, no matter how good a money saver you are, a bit more is always useful. When the currency you are earning is on a continuous slide downward, it makes sense to look for income in stronger currency. And in today’s globalised world, you don’t even need to leave the country to do that. One way to do that is to sell your things internationally on sites such as etsy, ebay, or even Amazon. If you have a crafty side, start making things and list them on etsy. Things like handmade hairbands, jewellery or photo props are extremely popular on etsy. The beauty of these sites is, everything is traded in USD (the listed price is converted from USD to Ringgit)! Other ways to increase your income is to consider working part-time, such as writing freelance, starting a blog and teaching tuition classes. Choosing the right part-time job to do depends on your preference and expertise. If you are into scrapbooking, you can even advertise your service on Facebook for free to get some extra income. The world is your oyster when it comes to making a few bucks. Most of these services can be offered to overseas clients, if you know the right market place to promote your skills! Even though we need to start planning to achieve our financial goals as early as possible, these goals should be flexible. When certain hurdles present themselves along the way, you need to be able to make changes to your financial goals. One of the most common goals is saving for your child’s tertiary education. To send your child overseas, you may need to start saving as early as possible. However, for those who are at the brink of leaving for their tertiary education, they may find the weakening Ringgit a bitter pill to swallow. Instead of sacrificing other areas of your savings, for example, sacrificing your retirement funds to send your child overseas now, it may be a better option to study locally on a twinning programme – allowing your child to study locally for a year or two (while waiting for the economy to stabilise) before sending them off overseas. Going overseas on the final year only can save you a lot more money. Currency fluctuates. Things change. You can’t stop it all. However, these lifestyle adjustments will take you a long way, financially, even when times are good. Establishing these as habits will make your finances healthier in the long run. Get rewarded with every Ringgit spent. This can only happen with the right credit card in your wallet. Find the best credit card to suit your lifestyle now!